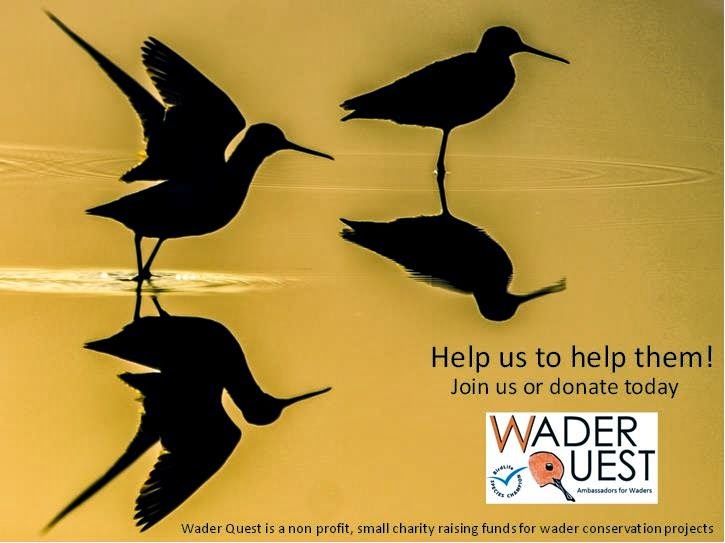 Wader Quest: Please continue to support us now and into the future. Please continue to support us now and into the future. As we have said before, the travelling may be over (for now? ), but Wader Quest goes on. 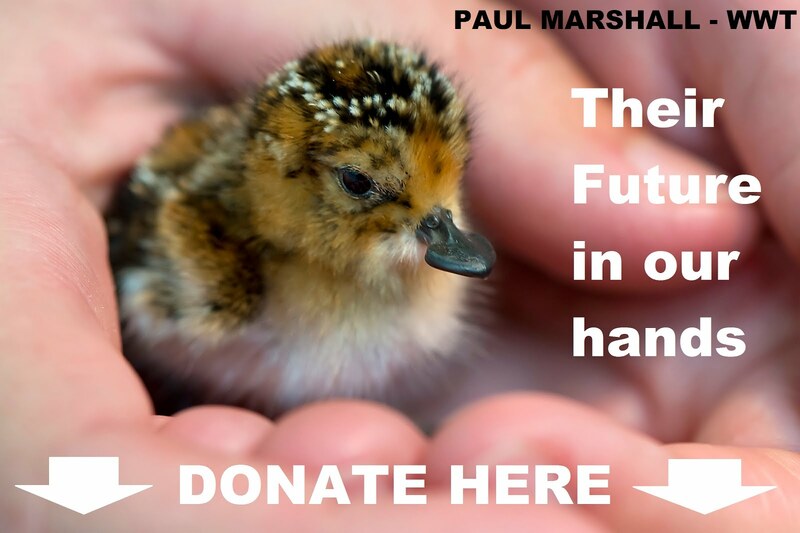 We successfully raised £3,260.56 for the Spoon-billed Sandpiper captive breeding programme but we still need your support to continue to help wader conservation projects around the world. 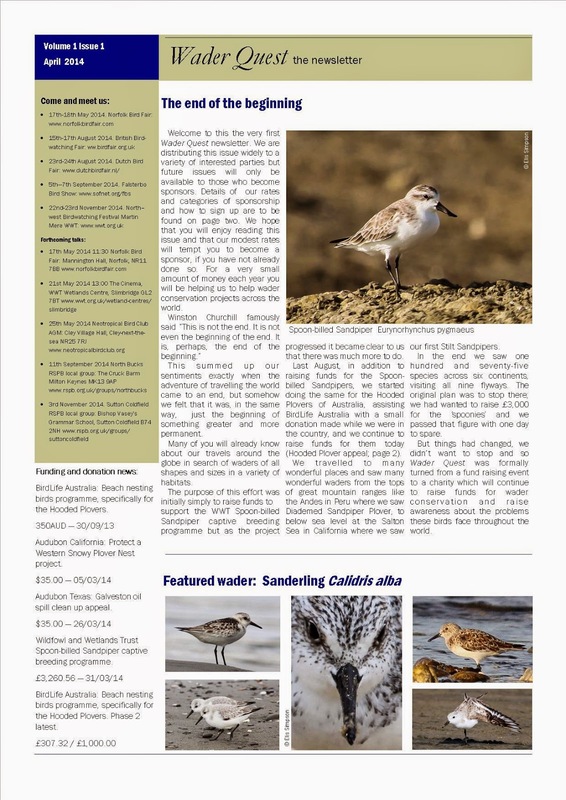 We are still raising funds for the Hooded Plovers in Australia that lost their funding from the Australian Government last year, we are trying to raise £1,000 in direct donations for this cause. You can donate on the right of this page at the top where it says "Help a Hoody here!". One off direct donations are always welcomed of course and we need many of them to reach our target, but if you would like to help us on a long term basis it is ridiculously cheap to do so. We are looking for Founder Sponsors to commit to an annual donation to help us on our way. Founder Ordinary Sponsorship - £5.00. Founder Family Sponsorship - £7.50 (members of the same family living under the same roof). All categories will receive a quarterly e-newsletter called Wader Quest (first issue out now), in addition clubs and societies will have a permanent link to their website on the Wader Quest website, and corporate sponsors will be able to have a permanent small advert and logo with a link on their website. Also their logo will appear on stationary and display materials where appropriate. There is lots to do in the world of wader conservation and we hope that from these humble beginnings we will grow into a useful resource and make a significant contribution to wader conservation; but we cannot do this without your support. Please be part of our future and sign up today on the "Donate" button to the right where it says "Become a sponsor here!"